Buying a house is a huge deal especially when you are buying your first house. This a major and exciting purchase not to be stepped into lightly. It is best to know everything you can about the home buying process and the current local market before you make that big exciting purchase. What is your home budget/ What can you afford?- The spending limit of what you can afford and what the bank will approve you for can be two different things. In some cases the bank will pre-approve you for a number that will stretch your budget to its tightest point or even maybe go over it. It is wise to sit down and calculate your current monthly expenses minus rent and utilities you are paying for. Think of items like groceries, kids sports programs, insurance, vehicle payments, internet, gas, etc. Calculate all these expenses and then subtract them from your monthly income don’t make the mistake of stopping on this number as what you can afford now you need to subtract some money to put into savings for emergencies and home repairs/upkeep. Now you have a good number of what kind of payments you can afford to make on a home. Pre-Qualified or Pre-Approved?- these are two very different things and many times first time buyers go out shopping with pre-qualification thinking that the number is locked in when it is not and the number drastically changes when officially doing paperwork. Pre-Qualification is an educated unofficial guess of what you may be eligible for pre-approval is what you want. In the pre-approval process your credit score and debt to income ratio are checked giving you a more solid number and a better bargaining tool when you make an offer. Credit Score- Find a company that will give you a free copy of your credit report. 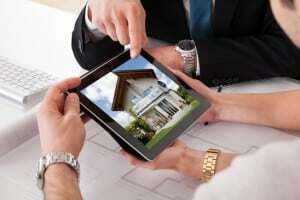 Yes the mortgage lender will pull a copy when obtaining pre-approval but it is good to know what is on your report before applying and shopping for homes. If there is any incorrect information on the report it is easier to get it fixed before the loan process than when you are in contract on a home. Type of Mortgage-Mortgages and financial jargon are confusing to a large number of us. It is very important that you ask every question you can possibly think of to know what mortgage is best for you. A great broker will make sure to ask plenty of questions to get to know your financial situation and find the best loan for you. Factors that will determine the best mortgage for you are; your current financial situation, if you financial situation will change over the next five years, if your income is steady or fluctuates, and how long you plan to stay in the home. Reasonable Offer- it is important to have a reputable buyers agent on your side. They can help you save money and know just how much is a fair offer on a home. They know the current market and many owners have listed homes above market value. You don’t have to offer list price to purchase a home. They can also advise you should you enter a bidding war or counter offer. Inspection- this is one of the most important parts of buying a home. Just because a home looks good to the eye does not mean it is in perfect condition. Many homes loans put in an inspection contingency for a reason. Always pay the money and get a home inspection you don’t want to find out there is a huge problem you are stuck fixing all on your own that you didn’t know about. Purchase Agreement- this is the offer that you write up. This includes what you will pay for the home, any contingencies, and anything that you would like to see stay in the home like appliances or even the owners kitchen table. It also states who pays what amount of the closing costs, how much earnest money is being paid, commission that goes to agents, etc. Insurance- to get approval for your mortgage you will need to contact an insurance agent and secure home owner’s insurance sometimes this cost can be added into the mortgage payment. Closing Costs- one of the top questions asked by buyers is “what are closing costs?” Closing costs are the cost of putting together closing documents, taxes, and signing agent to make the purchase of the home official. This cost should be included with you pre-approval papers. For more helpful information on the home buying process or Sunset Beach NC real estate please browse our website or contact us.